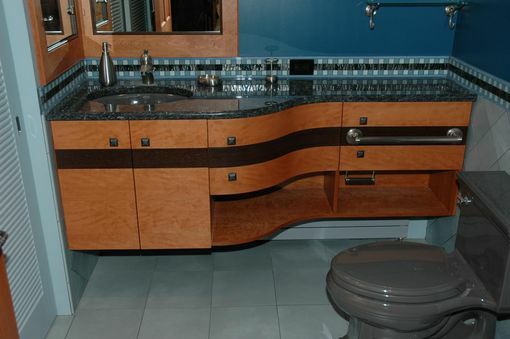 The graceful curve on this vanity invite the user to feel its softness. 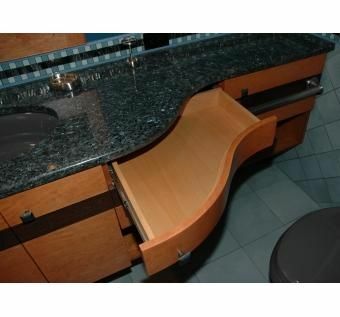 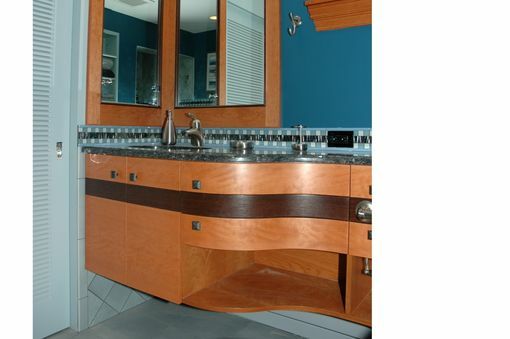 Quartersawn cherry veneer with wenge inlay grace the front of the vanity and the deep Blue Luna granite top draws the user in with it's brilliant depth. 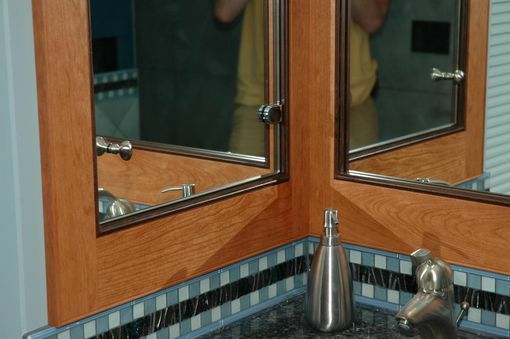 The cherry mirror frame sits on a glass tile backspash and has a matching wenge interior perimeter detail.